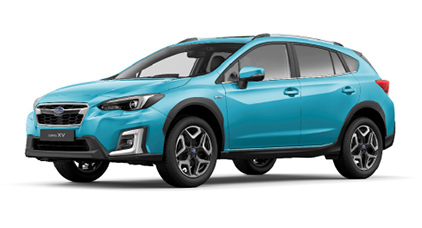 Tokyo, March 5, 2019 – Subaru Corporation today unveiled the European spec version of “Forester” and “SUBARU XV” both equipped with the “e-BOXER”, a power unit combining the Subaru’s signature Boxer engine with an electrification technology, at the 89th Geneva International Motor Show. “Forester” and “SUBARU XV” with “e-BOXER” are the Subaru’s first electrified products for European markets. The “e-BOXER” used for both vehicles is a power unit utilizing 2.0L horizontally-opposed direct injection engine and an electric motor integrated in the Lineartronic transmission. As an electrified power unit, it achieves not only improved fuel economy, but also brings enjoyment in a variety of scenes, from city driving to rough road driving, through responsive throttle and linear acceleration thanks to the power assist from an electric motor. Built on SUBARU GLOBAL PLATFORM, “Forester” and “SUBARU XV” are both benefitted from low-center-of-gravity BOXER engine and Symmetrical AWD known for well-balanced weight distribution. As a result, “Forester” and “SUBARU XV” both deliver superior handling, stability and safety performance. 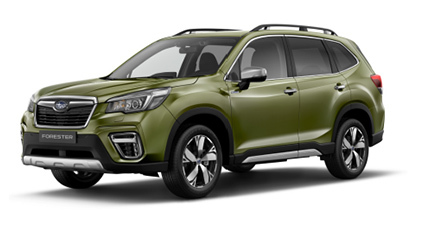 “e-BOXER” equipped ”Forester” and “Subaru XV” will go on sale in fall 2019 at European markets.